The unique setting of Immenhof covers a diverse landscape ranging from open plains to thorn bush savannah, along dry riverbeds winding through solid granite outcrops. 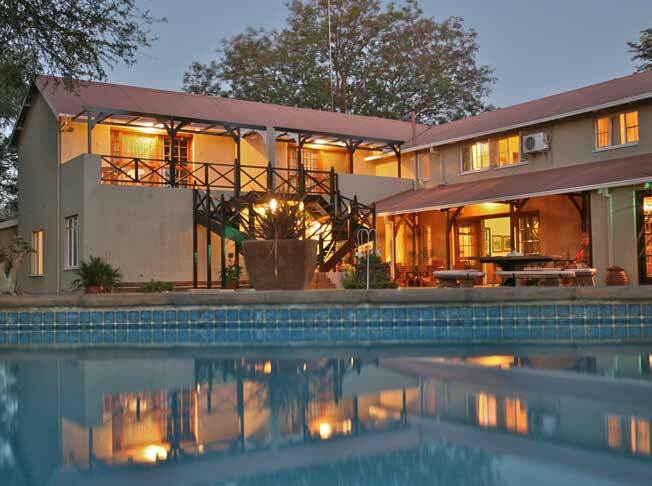 Immenhof is ideally situated between Windhoek or Swakopmund and the Etosha National Park, in the lovely Omaruru region. 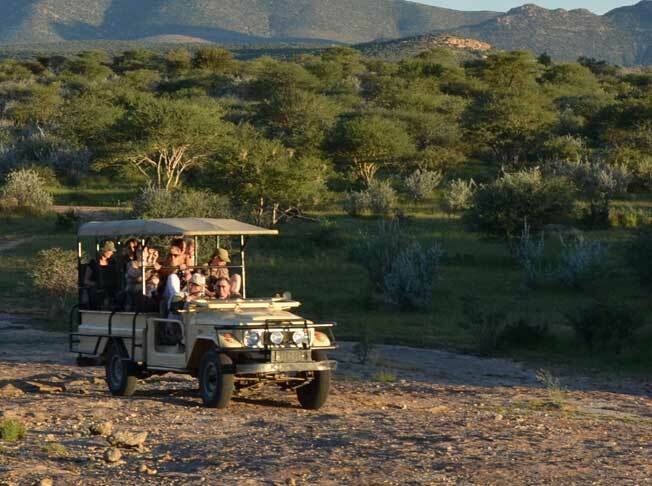 Like farm drives with game viewing, singing rocks and rock paintings, nature walks and horse riding. A wide variety of game species are encountered from the majestic eland to the little Damara dik-dik. Immenhof is ideally situated between Windhoek or Swakopmund and the Etosha National Park, in the lovely Omaruru region. We offer comfortable accommodation all with en-suite bathrooms. Food specialties include Namibian venison, professionally produced in our very own Farm Butchery, prepared the typical African-Afrikaans- German way. Join a multitude of activities, like farm drives with game viewing, singing rocks and rock paintings, nature walks and horse riding. Family von Seydlitz and their team welcome you to their farm! The unique setting of Immenhof covers a diverse landscape ranging from open plains to thorn bush savannah, along dry river beds winding through solid granite outcrops. Farm Tours start in the mornings after breakfast or in the afternoon and can be linked to a sundowner at one of our many wonderful natural settings, mostly on top of big granite monoliths. The farm tours are aimed at giving the visitor an impression of the farm’s history, flora and fauna, and the different landscapes of the surrounding area. ...AND NEVER MISS OUT ON OUR SPECIAL OFFERS AND NEWS! Immenhof is ideally situated between Windhoek or Swakopmund and the Etosha National Park, in the lovely Omaruru region. We offer comfortable accommodation all with en-suite bathrooms. © Immenhof Namibia Guesthouse 2019 All Right Reserved.